Arc Legal Assistance (Arc Legal), a leading provider of legal expenses insurance (LEI) and assistance services provider in the UK and Republic of Ireland, has welcomed Kerry Knief as its new Senior Corporate Relations Manager. Kerry joins Arc Legal with over twenty years’ experience in the insurance industry having previously worked for AXA Partners as a Senior Account Manager, managing key strategic clients, specialising in ancillary products. Kerry’s new role will involve managing existing corporate relationships, with a focus on identifying growth opportunities with partners across Arc Legal’s ancillary product range. DLA Piper’s international expansion has continued apace, following the announcement that the firm is to integrate Danish firm DELACOUR into its global network. 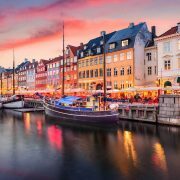 DELACOUR specializes in corporate law, commercial work and litigation, with its addition leaving DLA Piper with over 200 lawyers in Denmark across offices in Copenhagen and Aarhus. The news follows on from the firm’s earlier foray into the Danish market in May 2017, with its addition of LETT. The firm is currently the largest law firm in the Nordic region, with over 800 employees in Denmark, Finland, Norway and Sweden. “Both firms hold strong positions in the Danish market. This integration is an obvious strategic and commercial match which brings clients in Denmark unrivalled access to local specialists, as well DLA Piper’s truly global network of lawyers,” said Martin Lavesen, the DLA Piper’s managing partner for Denmark. Germany-based investment bank Berenberg is one City firm taking Brexit in its stride. The Hamburg firm, the world’s oldest merchant bank having been founded in 1590, has grown its Square Mile office from 70 to 350 people in the last eight years. It expects to add up to 100 more London staff over the next 18 months as it targets work on an expected UK boom in corporate takeovers and an anticipated spike in demand for equities analysis after a recent EU regulatory overhaul. “The partners back at our headquarters in Hamburg have been relaxed both pre- and post-referendum about Brexit,” said Dave Mortlock, head of Berenberg’s London office. Mr Mortlock said the firm’s existing operations in Germany, from which it can continue to trade across the EU bloc regardless of the outcome of Brexit trade negotiations, meant there was “no obvious reason for us to reshape at all”. “If other firms leave, we have the opportunity to attract their best talent,” he added. His comments strike a contrast with other overseas banks in the City, many of which – including Goldman Sachs, JP Morgan and UBS – have said they will downsize due to Brexit. Mr Mortlock said Berenberg’s London office would look to more than double the amount of corporate deals it advises on from 17 last year to 50 this year. Global dealmaking has enjoyed its strongest start to a year in almost two decades, with the value of targeted deals in the UK jumping a third on last year to $21bn (£14.9bn), latest statistics from Dealogic revealed this weekend. 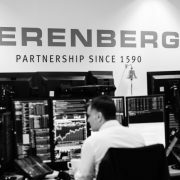 The lion’s share of Berenberg’s work in London is in equities analysis. Mr Mortlock said a recent move by the EU to tighten regulation in this market, called Mifid II, had so far increased demand for its analysis. 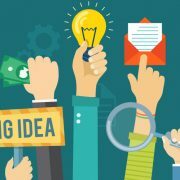 Under the changes analysts must explicitly charge customers for their advice, rather than bundling it up with other services. In full-year results for 2017 Berenberg posted a 69pc rise in equities revenue to €240m (£212m), while its overall staff numbers increased by 70 to 1,576. Net profits were down 44pc to €90m, although the bank said the previous year’s results were skewed by a one-off gain on the sale of its share in Frankfurt-based investment company Universal Investment.